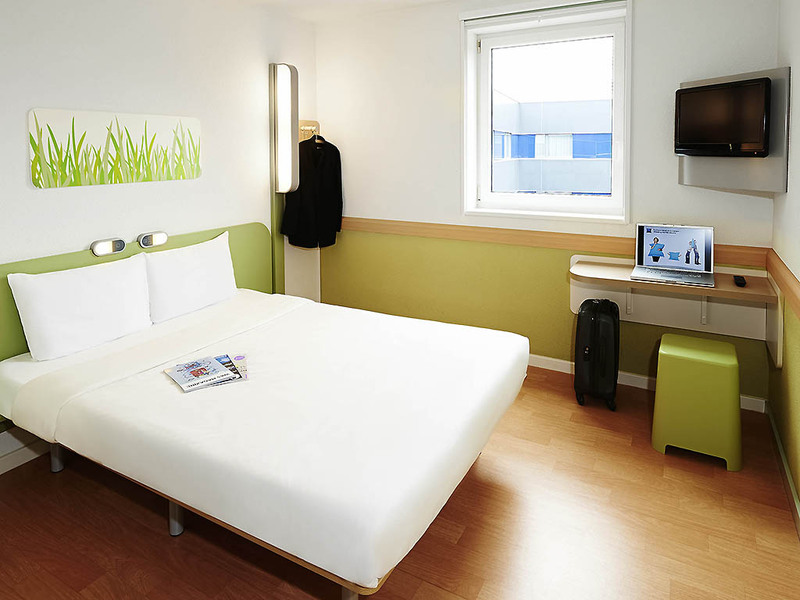 The ibis budget de Lille Marcq en Baroeul offers 67 rooms, including 4 Cocoon-style family rooms. Fully renovated in a modern style, the hotel provides an unlimited buffet breakfast, vending machines with snacks and drinks, a free car park, a multimedia area and free WIFI. Less than 15 min from the center of Lille, Vieux Lille and Lille Lesquin airport, and 3 min by tram from the Lille Flandres and Lille Europe train stations, the hotel is ideal for tourist stays and business trips alike. TRIPLE ROOM - Room with a large bed and a bunk bed.